Houston, Tex. (March 27, 1966) – Iggy Katona has been around stock car racing long enough to know you have to take advantage of any and every break. And that’s exactly what the Willis, Mich., racing veteran did Sunday afternoon at Meyer Speedway. 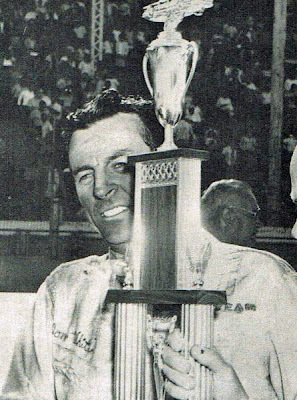 As a result, he won the 5th annual Houston 200. 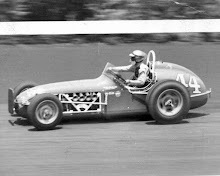 Katona’s “break” came on lap 144 of the 100-mile race when a wreck took out the front-running Ernie Derr of Keokuk, Iowa. That was all Katona needed as he poked his 1965 Plymouth hemi out in front of the pack and went untouched to an easy victory. 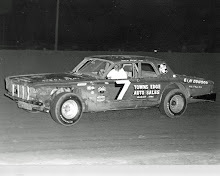 Derr had led most of the way in his #1 car, 1966 Dodge, with Ramo Stott, also of Keokuk, Iowa, right behind in a ’65 Plymouth. Derr went for a pit stop on lap 35 and Stott briefly took the lead. But Stott had to come in on lap 138 for gas and a right front tire sending Derr in front while Stott was in the pits for two laps. The two quickly lined up behind each other again, running one-two when the afternoon’s most serious accident took place. 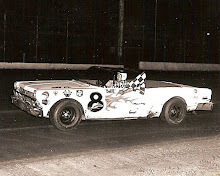 Tom King got his 1964 Studebaker sideways on the south bank when Derr was trying to get around. Derr hit King’s car and Stott slammed into the back of Derr’s Dodge. When the smoke and dust cleared, both King and Derr were eliminated for the afternoon. Despite some hasty repairs by Stott’s crew, his car was so badly damaged he brought his car back in the pit area on lap 162 and was finished as well. But Katona had his Plymouth at the right place and the right time. He jumped into the lead and was never pushed, covering the 100 miles in 1 hour, 26 minutes and 38 seconds. Charlie Glotzbach, driving a 1964 Ford, finished second and Bobby Watson in another ’64 Ford took third. 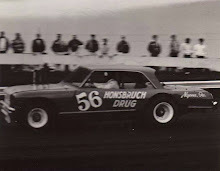 Twenty-five stock cars started the feature but only 10 cars were on the speedway when the checkers waved. 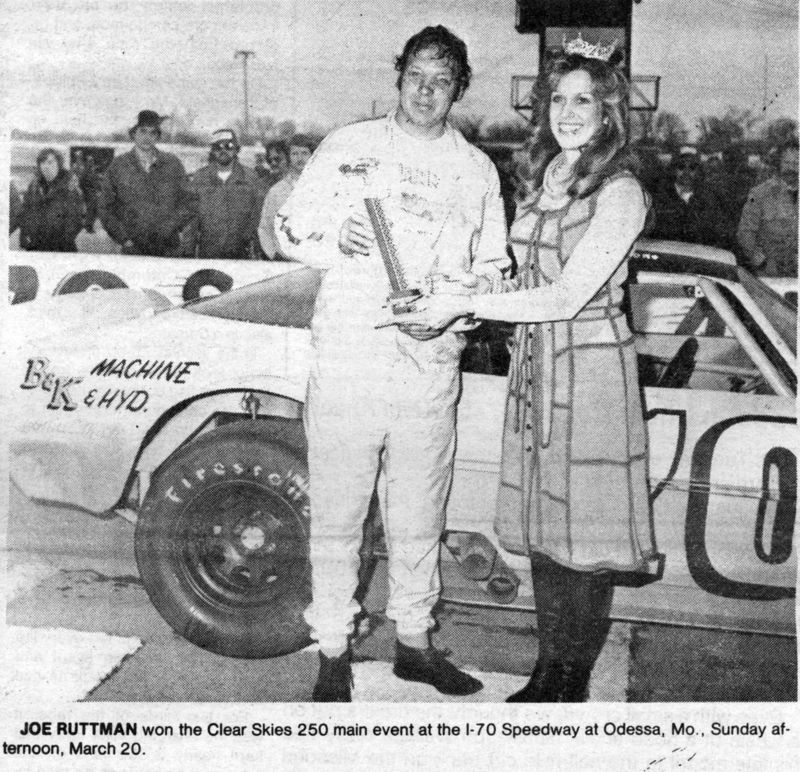 South Boston, Va. (March 15, 1970) - South Carolina stock car driver Dewayne “Tiny” Lund has driven to victory at South Boston Speedway in the NASCAR Grand American race that became as much a battle of the pit crews as of the drivers. Lund pushed his 1969 Camaro to victory in the $8,350 event after overcoming difficulty with a faulty ignition system while early leader Jim Paschal of High Point, N.C., sat it out in a 1970 Javelin that wouldn't start after running out of gas. Lund, 40, a racing veteran from Cross, S.C., drove the 231-lap, 100-mile contest over the 3/8-mile track where he had set a new qualifying record of 83.671 miles per hour, leading only twice for a total 12 laps. Wayne Andrews of Silver City, N.C., who also led part of the way, finished third behind T.C. Hunt of Atlanta after dropping his lead with a series of pit stops around the 85-mile mark. In order of finish behind Andrews were: Charlie Blanton, Gaffney, S.C.; Frank Sessoms, Darlington, S.C.; Stan Starr Jr., Madison, Tenn.; Phil Wills, Nashville, Tenn.; Ernie Shaw, Winston Salem, N.C.; Richard Childress, Winston-Salem; and Buck Baker, Charlotte, N.C.
Lund started on the pole but lost the lead to Paschal on the first lap and appeared 'headed for a third place finish before the unexpected happened. The former Daytona 500 winner led two laps early in the race and didn't see the front again until the final 10 laps when Andrews ran out of gas. The same fate sidelined Paschal who apparently had the race won until running out of gas on lap 246. Paschal, after taking the lead from Lund on the first lap, stayed out front for 82 laps before going into the pits on lap 82. Lund took the lead for two laps but gave way to Andrews on lap 85 and Andrews held the lead for 28 laps. Paschal then went back in the lead for 132 laps until he ran out of gas and coasted into the pits on lap 246. Gas was taken on in what was to be a hasty stop but Paschal was unable to get the car restarted and he finally climbed out, through for the day, finishing 11th. Andrews, in the driver's seat after the sudden turn of events, appeared headed for his first GT win until running out of gas with just 10 laps remaining. Andrews, like Paschal, was unable to restart and was forced to settle for third place as Lund coasted home followed by Hunt. The victory for Lund eased a day of frustration for the big man from Cross, S.C.
"They had tough luck out there but that's racing. You never know what's going to happen on the track and I never gave up hope of winning it. This makes up for the one I lost recently at Daytona,"
Andrews revealed after the race that it was his first pit stop that was his downfall. "We put in just five gallons of gas where we normally put in about eight and that extra three gallons would have carried me the distance." 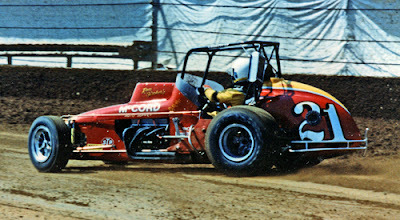 Danville entries Pee Wee Wentz and Bobby Fleming were both sidelined in a four-car pileup on the 80th lap, and both were victims of circumstances. Terry Flynn's 1968 Mustang got out of shape coming into the third turn and was struck by the 1969 Camaro being driven by national champion Ken Rush of High Point. Fleming was unable to avoid Rush and Wentz was hit by Flynn's car after bounced back off the wall. The Flynn and Rush cars were virtually demolished while Fleming and Wentz suffered only minor damage but all were finished for the day. The race was completed in one hour, 30 minutes and 29 seconds at an average speed of 58.413 mph. Cold weather limited the crowd to an estimated 1,200. Omaha, Neb. 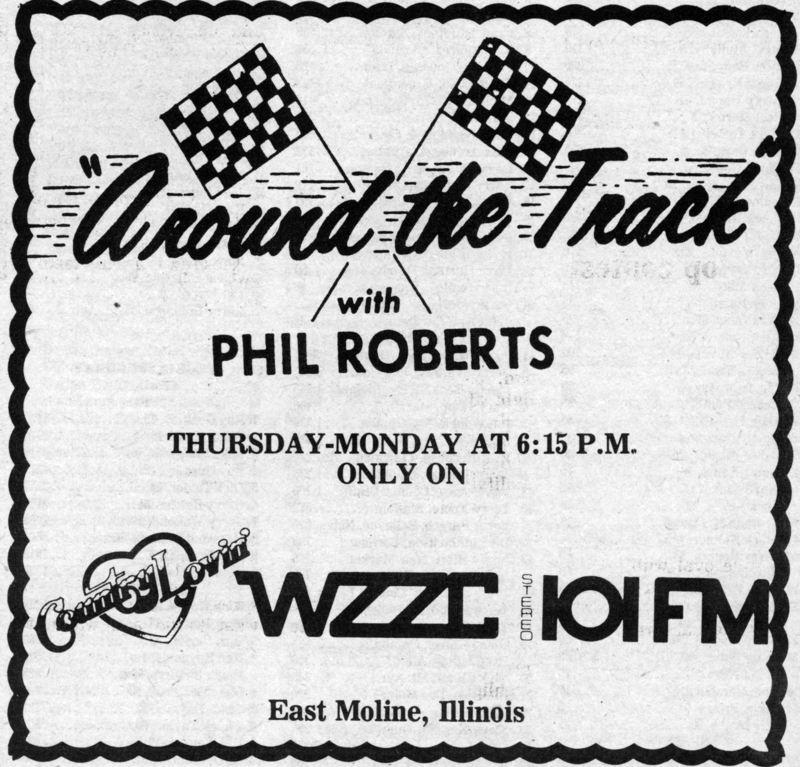 - In 1978 with the demise of the old International Motor Contest Association (IMCA), a new organization came into being to fill the void for promoting races in the Midwest. 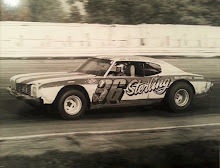 It was called the National Speedways Contest Association (NSCA) and its promoting arm was called National Speedways, Inc., which had been a long time promoting arm of IMCA. The race directors of National Speedways, Inc. would be two Des Moines residents, Dave Van Patten and Robert (Lawty) Lawton. Van Patton would serve as President of NSCA and Lawton as Vice President. 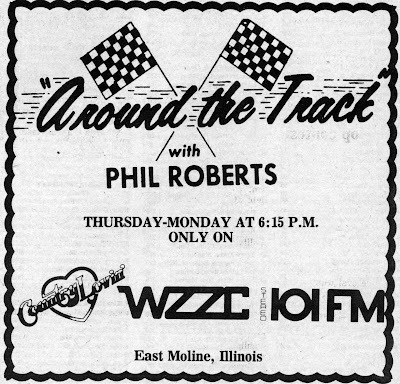 NSCA promoted sprint car races and later late model races throughout the Midwest from 1978 thru 1984. 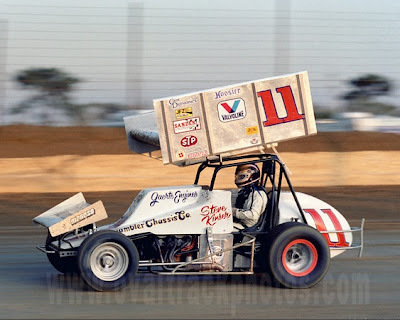 In 1985 the NSCA Sprint Car series became the regional arm of the World of Outlaws. One of the concepts of the NSCA was to have an eight member board of directors for each division. These boards were made up of four drivers and four car owners. These groups established the rules for racing within each division. Things started off with the Annual Casey’s General Stores Missouri Sprint Car Nationals at the Missouri State Fairgrounds in Sedalia. The King of the Outlaws Steve Kinser would set fast time of 19.883 seconds aboard the C.K. Spurlock Gambler House Car normally driven by Doug Wolfgang. 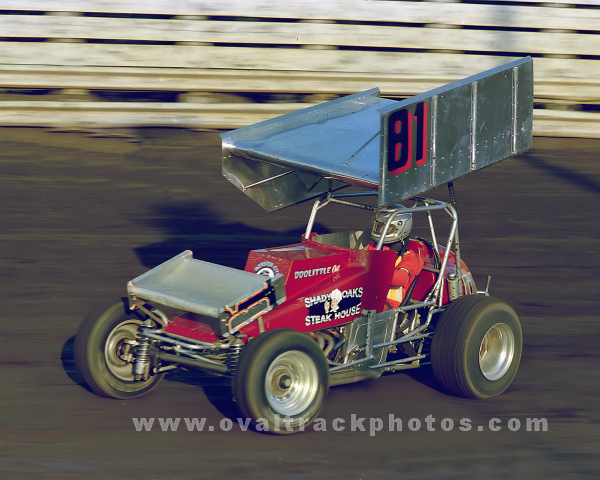 Scott Ritchhart, Junior Parkinson, Wolfgang and Kinser would claim Friday night heat race wins. Australian Brett Lacey would take the B-main over Ricky Hood. 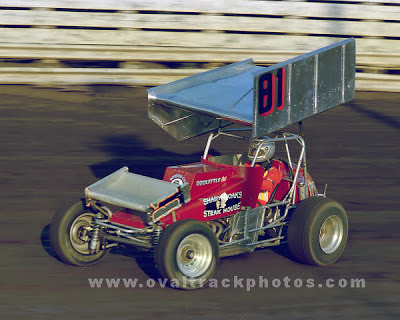 In the preliminary feature on Friday night it would be Kinser followed by Larry Gates, Ritchhart, John Sernett and Cliff (Woody) Woodward. Heat action saw plenty of passing as Larry Gates won heat one from the fourth starting position, Tim Baker heat two from 7th and last starting spot, Randy Smith from position number four to win heat three and Brett Lacey from the outside front run on the fourth heat. Sixth starting Jr. Parkinson won the 10 lap B feature. The following Friday night before a near capacity crowd the NSCA Sprinters would test out the 1/3-mile high banks of Eagle Raceway just east of Lincoln, Nebraska. Just 18 Sprinters showed up for the event which saw Randy Smith of Mt. Ayr, Iowa driving the #55 Jensen Construction Sprinter set fast time at 14.057 seconds with Jr. Parkinson and Bob Thoman second and third in time trials. On the restart Woodward again seemed to have things in hand when he experienced mechanical problems on the next to last lap and Randy Smith inherited the lead and took the win. Seventh starting Mike Pinkney would finish second followed by Thoman, and Brett Lacey who started in the final row.